Its a collection of essays from Rick Newcombe. Lots of good stuff in there. Be sure to check out this site:Briar Books Press which only publishes books on pipe smoking. JM Barrie's, My Lady Nicotine, is a hilarious collection of essays from the inventor of Peter Pan. I've enjoyed reading it over and over. Thanks for the links, folks. I'll look into them all. Just watched a short youtube documentary on Peterson pipes. QI. I just purchased The Pipe: A Functional Work of Art - Large Format from P&G. It has yet to arrive. I think it is more of a big picture book with not too many words. I recently read Iain Gately, Tobacco: A Cultural History of How an Exotic Plant Seduced Civilization (Grove Press, 2001). Very good. Dunhill's Book of Pipes is a great read. Both are available for Kindle, etc. on Amazon. Thanks for starting the thread. I've been wanting to ask the same thing. this one seems very well done from what I've seen of it. +1. A very enjoyable and informative read. Carl Ehwas "The Book of Pipes & Tobacco" is pretty much a staple. You can pick up used copies at the usual book places, here's one on Ebay. I'd recommend Liebaert & Maya's "The Illustrated History of the Pipe" as another staple. Toward a Theology of Pipesmoking by Yunker, Arthur D.
I highly recommend Jose Manuel Lopes' "Pipes: Artisans and Trademarks" if you can find a copy. 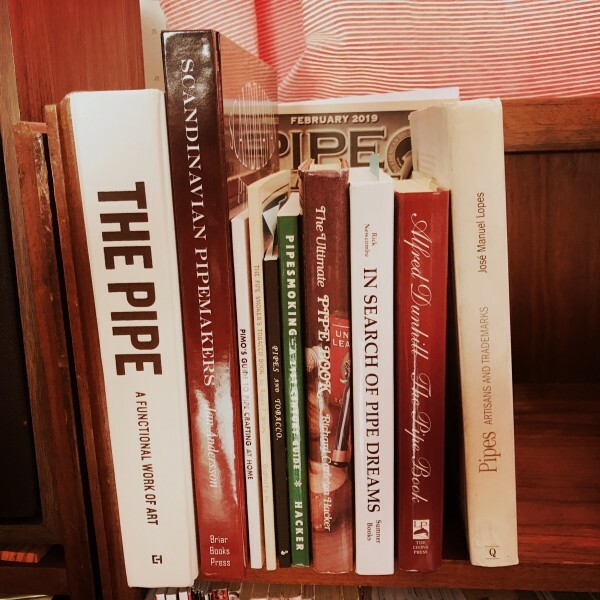 Abe Books just listed a copy of Pipes: Artisans & Trademarks for $68, which is a good price on that book.